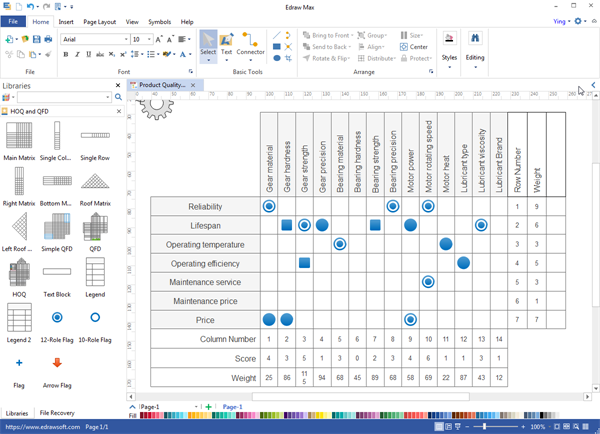 Compared with online project chart drawing program, a desktop project chart program's advantage lies in the lifelong service with one-off payment. 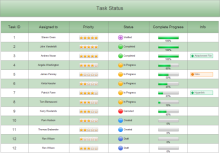 Our project chart desktop drawing software allows you to create project chart at lightning speed. It can work on both PC and Mac system. 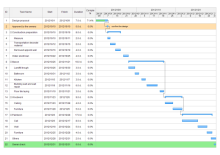 Edraw is a powerful project chart maker allowing users to use on Linux, Windows (XP and Vista), Mac OS X. The interface of Edraw is quite user-friendly as it is similar with Word. Get started as quick as lightning with pre-made symbols and ready-to-use templates. The flexible import and copy/paste capabilities allow you to input data from many different file formats. Save your diagrams as local files. You can also upload it to Cloud and make it accessible any where any time. A desktop cloud-based and cross-platform diagram software for creating almost all kinds of diagrams. Comes with over 10,000 vector built-in shapes. Provides thousands of highly artistic templates. Auto generation, alignment and distribution. Ever-expanding diagram resources (help, video tutorial, examples...). 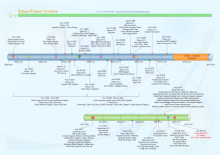 Find more project chart examples and download as templates.